Each week, Los Borrachos Grande try new and interesting beers and liquors so that you, the listener, will know what's worth looking for out there in the big bad world of bars, liquor stores and night clubs. Occasionally, a product passes our way that is worthy of inclusion in The Friday Shot Day Show Bar of Fame. 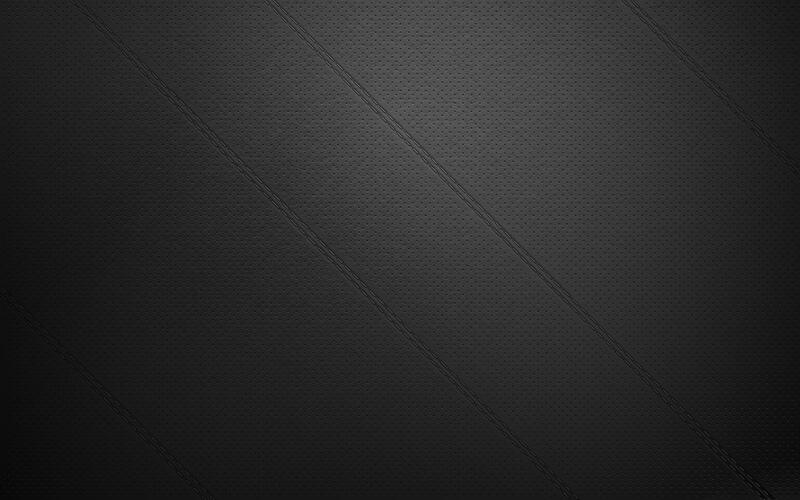 This is the page where you'll find those products. Consider them highly recommended. We didn't know what to expect when we tried Catdaddy Carolina Moonshine, but we were pleasantly surprised all around. Catdaddy has a sweet (but not too sweet) flavor that's spicy in a Captain Morgan kinda of way (as opposed to a Tabasco kinda way). The first inductee into our Bar of Fame and still one of our very favorites. Like honey? You'll love Barenjager Honey Liqueur. Think of it as a shot of honey with a kick. Syrupy thick, like honey, with a taste that's just like ... well, honey. We love this stuff. A bit sweet, easy to drink ... and did we mention that it tastes like honey? Doug's favorite drink, and a favorite of the other tres borrachos as well. 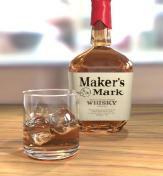 Maker's Mark has a smooth, unique flavor and is legendary for its quality and down home style. Goes great with a beer or is perfect straight up. Find out more at www.makersmark.com. 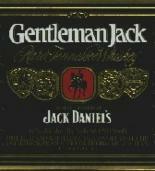 In the interest of full disclosure, we've all been drinking Gentleman Jack for awhile. It's a great sipping whiskey, full of flavor and as smooth as it gets. 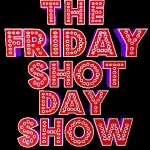 You'll often find us drinking a shot of this at our local bar, as we prepare for the Friday Shot Day Show. Vida Tequila is a premium tequila that boasts a clean, agave taste. Although it didn't de-throne Los Cuatro Borrachos favorite tequila (that would be Patron), it was surprisingly good. We tried only the Blanco but look forward to trying Vida's Anejo and Reposado in the future. Long one of our favorites, Patron Tequila finally made it to the Bar of Fame on our Second Anniversary Show. It wasn't that it took us that long to decide, it's just that we drink it so often, we kept overlooking the fact that Patron wasn't in our Bar of Fame! The Silver is probably our favorite but the Anejo and Reposado are excellent, too. 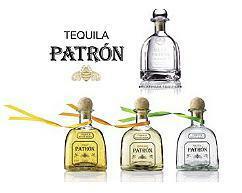 We're split on the XO Cafe Liqueur -- two of us like it and two of us don't -- but we all love Patron. Doug doesn't like rum and he was not looking forward to tasting Cruzan's Guava Rum. But, after we killed off a bottle in the first hour of our show, we knew we had a winner. Doug said he's even going to add it to his home bar. Cruzan's Guava Rum has a great flavor because of its natural guava flavoring and, of course, starts out with a great rum base. There are many other flavors of Cruzan Rum, including banana, orange, mango and pineapple but we haven't tried them ... yet. But we can vouch for the Cruzan Guava Rum. We love it! We're always surprised when we find a fruit-infused alcohol that we like but we were really shocked by the smooth deliciousness of Bacardi's Dragonberry Rum. It's really "Strawberry Rum infused with Dragonfruit" and it's got a fresh, authentic flavor of strawberry (duh!) and Dragonfruit (which we decided tastes a little bit like kiwi). No Crunchberry artificial flavor here! This is one time we didn't take down the who bottle in one show but we had a reason: We saved enough to try it the way Bacardi suggests ... on the rocks with ginger ale! As you may have read above, we all love Maker's Mark Whisky. This particular style, made in commemoration of the Kentucky Derby, is made with the classic Maker's Mark bourbon infused with fresh mint then balanced with simple syrup for sweetness for the perfect Mint Julep. It's like a shot of Maker's Mark with a crisp mint kick! You can drink it straight out of the bottle and, if you're a fan of mint or Maker's Mark, this drink will be the cool, ready-made cocktail you've been craving. Highly recommended by each of Los Cuatro Borraachos. Honey. Whiskey. 'Nuff Said. This is good stuff. Syrupy like honey yet with a kick like Whiskey. Nice! Four year old Jim Beam Bourbon infused with a sweet (but not too sweet!) black cherry taste. Now that's some tasty bourbon!